Natural, handy, quick and tasty! 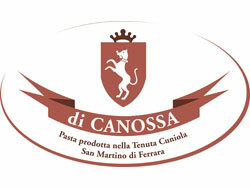 These are the characteristics of My instant pasta, the latest success of Pasta di Canossa Factory. It is produced in three different tastes and shapes (tricoloured fusilli, cheese maccheroni, veg mince ragout penne), my instant pasta represents the right combination between the bronze drawn pasta taste – already produced by Pasta di Canossa Factory – and the convenience of a meal ready to be savoured. Thanks to the handy cup, it takes 3 minutes only and some hot water to have a complete meal, 100% organic, to be eaten wherever you like, as an alternative to the standard sandwich: at school, at work, with friends…. the traditional Italian pasta in an innovative pack. My instant pasta is produced using Storci lines. Indeed the Canossas, who have been owning an Omnia line since 2014 for the production of several types of dry pasta, have grasped the huge potential of instant pasta and decided to equip their existing plant with a cooker, supplied by Storci, for instant pasta production (see pics on the left). 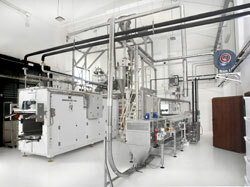 Instant pasta – Storci’s way: do not miss the chance to move forward into the future of your pasta production. Contact us: sales-storci@storci.com. 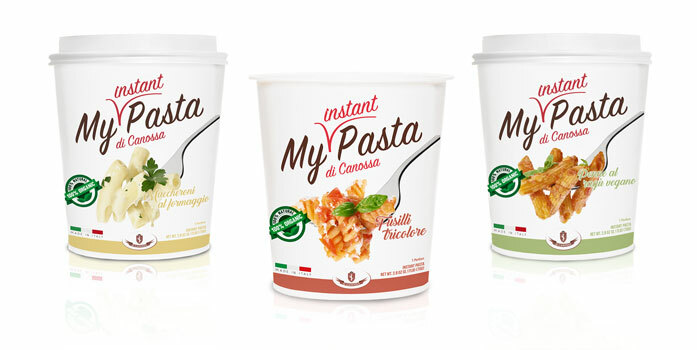 For more information concerning my instant pasta: http://www.myinstantpasta.com.